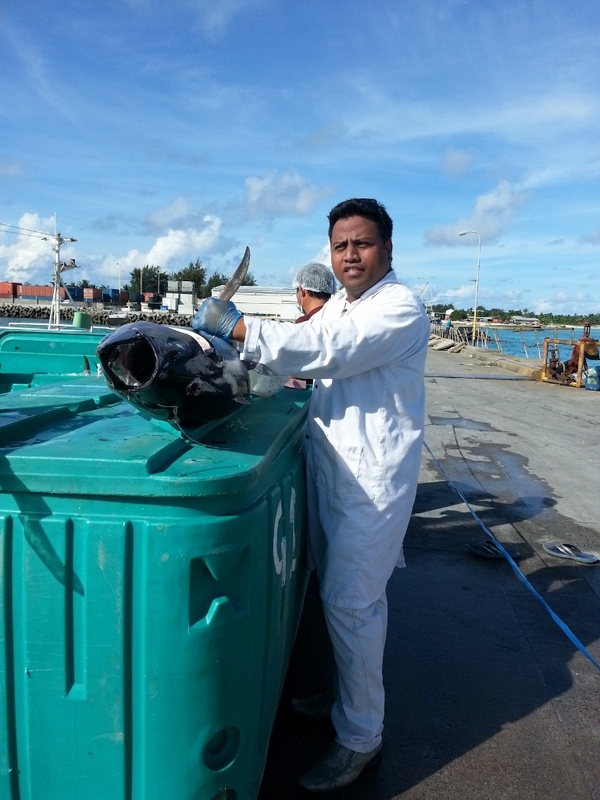 Tebeio is a Verification Officer with the Competent Authority for Fish and Fishery Products of Kiribati, a newly-established unit of the Fisheries Division within the Ministry of Fisheries and Marine Resources Development. Kiribati is a small and remote developing island state in the SW Pacific Ocean and highly dependent on fishery product exports. Tebeio’s responsibilities include implementation and enforcement of official controls pertaining to food safety within the fishery sector (both land-based processing plants and offshore fishing vessels). As such he is responsible for ensuring that fishery business operators comply with the sanitary requirements of key export markets. Tebeio is also a key member of the team setting up official control systems in line with EU regulations, and has contributed technical content to the preparation of a dossier to submit to the European Commission with a view to obtaining access to this important market in the near future. Tebeio, who is from Kiribati, obtained a degree in Marine Science from the University of the South Pacific, Fiji in 2010. He then worked for two years in the fish processing industry, firstly in Fiji, and then in Kiribas. In Fiji he worked in the Inventory Control, Procurement and Marketing Department for an EU-listed fish processor exporting tuna to global markets, where he was responsible for the management of documents and certificates required for the export of consignment of fishery products to different markets. He also developed and implemented training courses on hygiene and occupational health for operatives working in the processing line. Subsequently, he worked for a company in Kiribati, undertaking similar tasks, before joining the Fisheries Division of the Ministry of Fisheries and Marine Resources Development in September 2013. Tebeio has won the award in the face of competition from a field of highly qualified applicants from around the world. He was selected by the judges due to his clear and strongly demonstrated professional commitment to fish inspection and his combination of experience in the fish processing industry and as an official fish inspector, which is particularly relevant to the aims of IAFI. Tebeio hopes that his attendance at the World Seafood Congress in Grimsby, will help his career by providing exposure to different international approaches to the implementation and enforcement of official controls for fishery products, and that this will this help Kiribati to gain access to the EU market for its fishery products. The Board of the International Association of Fish Inspectors wholeheartedly endorses this aim. We send our congratulations to Tebeio and look forward to meeting him at the World Seafood Congress in Grimsby, later this year.